The Aluflite folding trolley manufactured by Korita Aviation offers airlines multiple uses, from serving passengers to carrying newspapers/magazines before or during the flight. Empty weight starting from 9.5 kg. Aluflite folding trolleys are easily folded and stowed away in the aircraft galley. 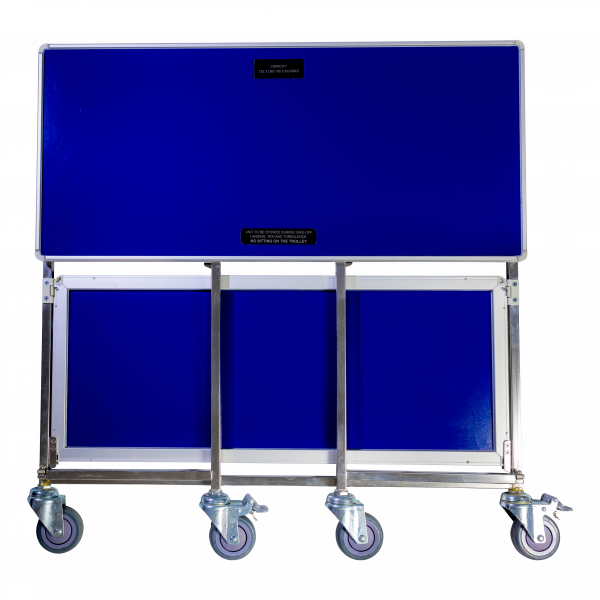 We can manufacture a custom-built folding trolley to meet your onboard hospitality requirements. Remember the Aluflite folding trolley offers airlines maximum flexibility for inflight catering - It just gives you the extra working space when you need it! Prior to manufacture you can select if you want two or three shelves. A powder coated finish to match your brand colours. We provide our airlines with a choice of a two or three shelf option so that an airline can choose the most appropriate option to meet with their inflight service requirements. A standard powder coated finish ensures that the colour selection can be aligned with your brand colours. Prior to manufacture, you can select between a two or a three shelf option. Aluflite folding trolleys are easy to operate and offer great stability when in use during inflight service. 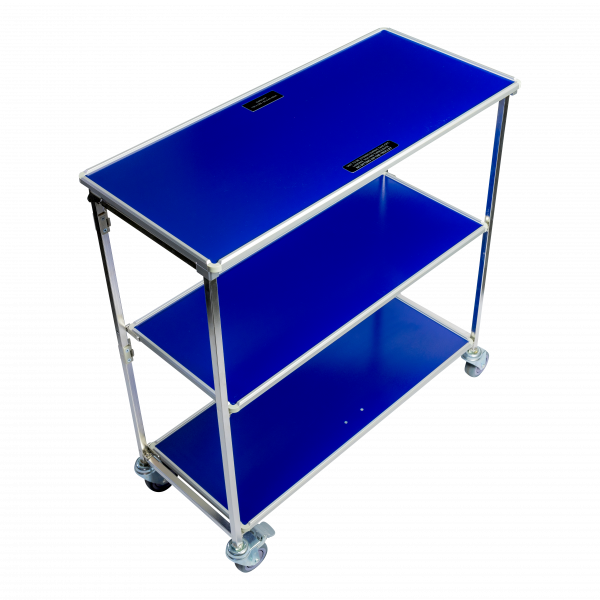 Aluflite folding trolleys are powder coated with the possibility to have the additional option of an anti-slip surface for that extra safety during inflight service. The Aluflite folding trolley is a space saver! Korita Aviation designed the Aluflite folding trolley to be easily stowed within the aircraft galley yet still providing that extra work space when you need it. Airlines love the flexibility that this product provides during inflight passenger journeys. The Aluflite folding trolley is often used for serving passengers and carrying newspapers and magazines before or during the flight. Get in touch with our dedicated sales team. Request a quotation today. Korita Aviation designed the folding trolley for flexibility, giving airlines a service trolley that can be easily stowed away in the galley. This image shows the folding trolley in the collapsed position ready for storage in the aircraft galley. In this image you see how the Aluflite folding trolley appears when set up for use. Airlines can select whether they need two or three shelves for their onboard service. Aluflite folding trolleys offer excellent versatility in confined spaces.